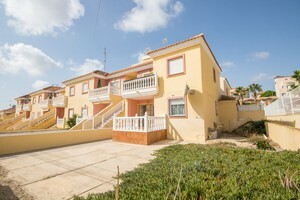 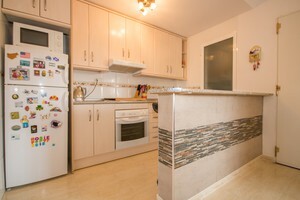 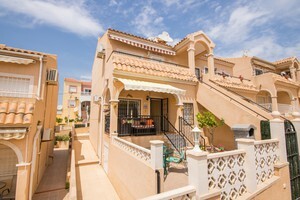 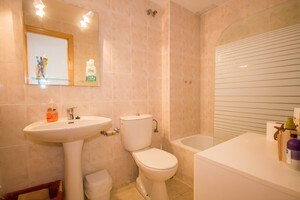 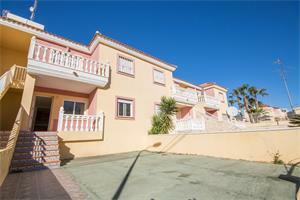 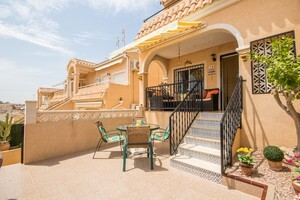 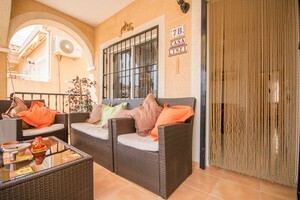 Well presented south facing ground floor apartment overlooking the communal pool in El Galan. 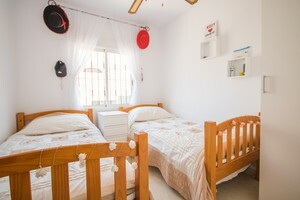 The apartment comprises 2 double bedrooms, 1 bathroom, living/dining room with an American style kitchen, utility room and front porch with great views of the communal area. 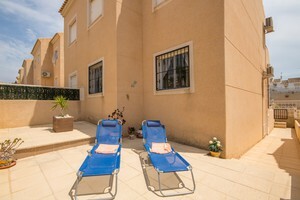 Built on a 113 sqm plot with front and rear terraced areas where you can enjoy the sun all day, barbecue and storage room. 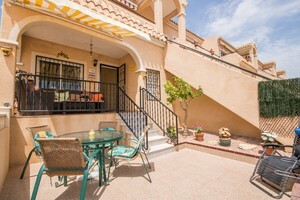 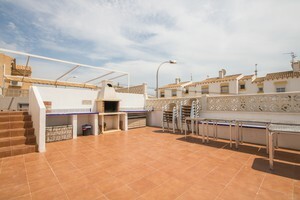 Part of a small gated complex with communal swimming pool, terraces and barbecue area. 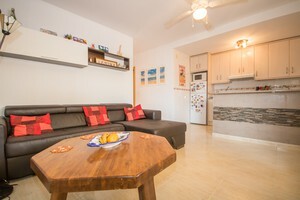 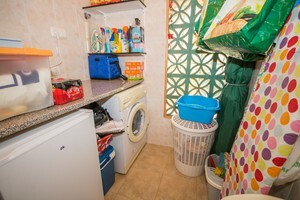 The property includes furniture, white goods, 1 air conditioning unit, fitted wardrobe and ceiling fans. 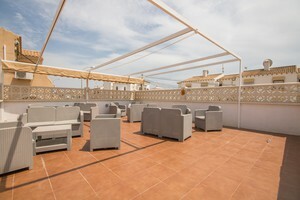 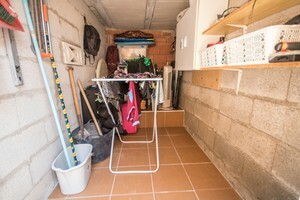 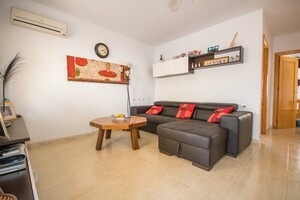 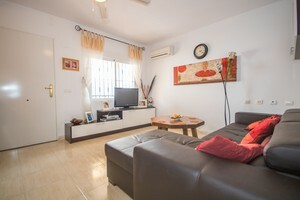 Located in a quiet residential area within walking distance to bars, restaurants, shops and bus stop; close to the golf courses of Villamartin, Campoamor and Las Ramblas; the beaches of Orihuela Costa are at a 10 minute drive.